Egypt Travel Representative will pick you up from Port Said by the cruise exit door, holding a sign of your name. You will be transferred by an air-conditioned coach to Cairo, approximately 3 hours, with a stop if needed to have a rest. Start your Alexandria shore excursion by visiting the first Egyptian pyramid, known as the Pyramid of Djoser which dates back to the 3rd Dynasty, also you will visit the Teti Pyramid and tombs in Sakkara then you will be transferred to Memphis, the ancient Capital of Egypt to visit the colossal statue of Ramses II and nearby a still half-buried Hathor Temple. Proceeding your Cairo trip and the pyramids tour by heading to Giza Pyramids and the Great Sphinx which dates back to the 4th Dynasty. 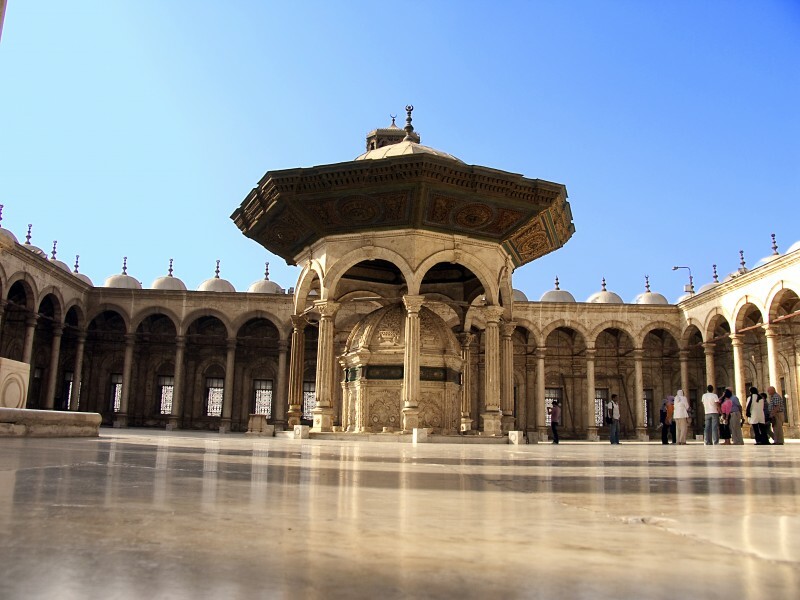 Then proceeding your Cairo sightseeing tour to the Valley Temple which is traditionally attributed to king Chefren with shopping tour at the famous bazaars and papyrus institutes in Giza. Lunch will be served at a good quality local resturant. Optional tour to watch the spectacular Sound and Light Show at Giza Pyramids or you will be accompanied to board your luxurious Nile cruise ship for dinner, belly dance and oriental show for 2 hours. Lunch is included during the tour. Overnight in Cairo. After having breakfast at hotel, start your Cairo excursion with an exciting tour to Egyptian Museum which features artifacts from the Pharaonic period. The museum displays a rare collection of 5000 years of art which are considered the largest most precious collection of Egyptian artifacts in the world. Over 250,000 genuine artifacts are presented, including an exhibit dedicated to Tutankhamen collection of treasures, gold and jewelry which were enclosed in his tomb for over 3,500 years before its discovery in the 1920s. Enjoy having lunch at a good quality local restaurant. Processed your Cairo sightseeing tour to the Salah El Din Citadel and Albaster mosque of Mohamed Ali which was designed by a Turkish architect,Yousif Boushnaq in memory of Tusun Pasha, Muhammad Ali's oldest son.If there's enough time we'll have the chance to visit one of the most famous and oldest bazaars in the Middle East, Khan El Khalil Bazaar. After that travel via air-conditioned modern coach to Alexandria. Back to your Cruise for the final departure.